It’s 100 years since Lawrence of Arabia swept across the desert, white robes billowing in the wind and rifle raised triumphantly above his head. His legacy, which has since become shrouded in myth and romance, has done much to shape our conception of Jordan and the Middle East. But recently a different kind of unrest has battered the country’s tourism industry, starving it of vital income at a time of increasing global uncertainty. 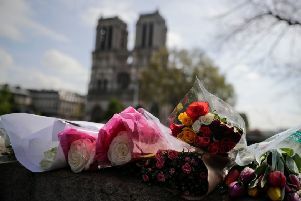 Fears around terrorism, war and the march of so-called Islamic State have led to visitor numbers plummeting by as much as 80 per cent in the past year, local guides estimate. It’s a trend they are desperate to reverse. Jordan trades on its stability and safety, and tourism is a major money-maker. Happily, the jaw-dropping beauty of the country’s scenery speaks for itself – and offers hope of a comeback. We land at Amman’s Queen Alia International Airport before checking into the five-star Grand Hyatt Amman in the city’s business and diplomatic district. Amman, Jordan’s bustling capital, is a city of two faces, with modern, cosmopolitan districts and a more traditional Downtown area where tourists are advised to leave the shorts and revealing clothes at home. To get a feel for the place, climb up to the historic Citadel – thought to be one of the oldest continuously inhabited places in the world – and enjoy panoramic views of skyscrapers to the west and a sprawling web of souks and mosques to the east. A stroll up Rainbow Street offers a great way to experience the city by night. The narrow thoroughfare has myriad cafes, restaurants and bars – and a never-ending stream of beeping traffic. Music pumps out of shopfronts and the air is thick with shisha. Smoking’s terrible, obviously, but I recommend the lemon and mint tobacco at five dinars (£5.40). But while Amman offers plenty to satisfy those looking for an authentic Middle Eastern experience, there’s too much to see and do in Jordan to stay for long. We take in Jerash and Mount Nebo – alleged to be the final resting place of Moses – before heading to Petra, a three-hour car journey to the south. Visiting before the war, T E Lawrence labelled it “the most wonderful place in the world”, and he’s surely not far off. Immortalised as the home of the Holy Grail in Indiana Jones And The Temple Of Doom, the breathtaking Treasury building – first glimpsed between the narrow rock faces of a sheer gorge called the Siq – is heart-stopping. Elsewhere, massive tombs loom out from the red sandstone cliffs, their grand entrances gaping darkly in the sunlight. Inside, veins of colour run across the rocks and swirl into psychedelic patterns of oranges, blues and blacks. Petra covers a huge site and it’s impossible to see it all without devoting a few days to it. Give yourself time if you want to do it properly. We start early in the morning, and I recommend doing the same: the midday sun is scorching. If you’re staying in the modern town outside Petra’s main site, forego the hotel restaurants and bars and head to Petra Kitchen, where you can cook your own dinner using traditional Jordanian recipes. Under the watchful eye of our hilariously abrupt chef Tariq, we bumble our way through a complicated menu of soup, baba ganoush, tahini, fattoush, galaya bandura and kabsat dajaj. I had no idea what half of it was – and still don’t really – but savoured every bite. If Petra’s eye-popping beauty is hard to beat, the sweeping desert of Wadi Rum, 70 miles to the north, certainly gives it a run for its money. Also known as the Valley of the Moon, its otherworldly landscapes have stood in for Mars in three films over the past two decades – including The Martian, last year’s smash-hit sci-fi epic starring Matt Damon. In true Lawrence of Arabia fashion, we sleep under the stars at the Bedouin-run Captain Camp. Admittedly, our ensuite flushing toilets, electricity, comfy beds and iPhone-friendly plug sockets differ slightly from what he would have experienced, but the romance is undiminished. The campsite offers the perfect place from which to explore, and we take in the dunes with a fast-paced jeep tour followed by a sunset camel ride. Nothing prepares you for just how uncomfortable a camel can be, and getting on and off is a genuine ordeal. But there’s no better way to watch the sun sinking down over the blood-red desert, as the moon sweeps into view behind. Our delicious dinner that night is cooked traditionally in an underground oven covered with sand, and the next morning we wake early to watch a camel race charge across the valley, clouds of dust rising in their wake. It is difficult to leave. Our final stop is the Dead Sea, where temperatures peak at a skin-sizzling 48C. We check into the sprawling Crowne Plaza resort and spa – almost a town in itself – and head for the water. In late summer, the Dead Sea is a bit like stepping into a warm bath. Cakes of salt cling to the rocks and the thick, oily water burns your eyes. But floating on its surface feels pretty close to weightlessness, and the mineral-rich mud supposedly does wonders for the skin. Crowne Plaza’s luxurious spa offers a range of massages to suit all tastes. I opt for the “Swede Fitness” (£76), without fully realising it requires stripping off and wearing a mortifying pair of disposable briefs. Against all the odds, I enjoy it. With its sheer range of unforgettable sights, Jordan is the perfect antidote to those boring beach holidays of endless paperbacks and weak lager by the pool. Security feels like it may have ramped up in recent years – see current travel advice from the Foreign and Commonwealth Office – but this is a country with bucket-loads to offer. It’s easy to see why Lawrence fell so deeply in love with its “vast, echoing and God-like” landscapes all those years ago. Jordan deserves a revival.